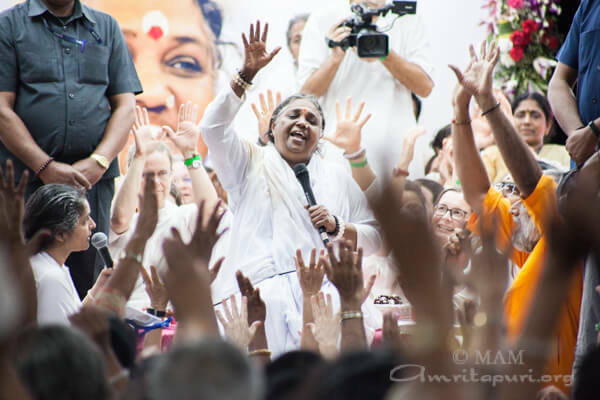 You are here: Home / Why do people cry in front of Amma? 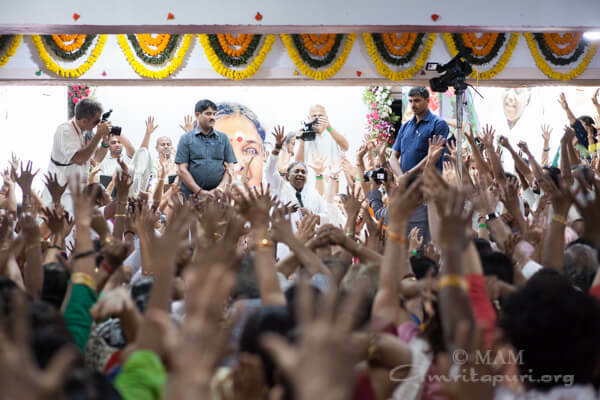 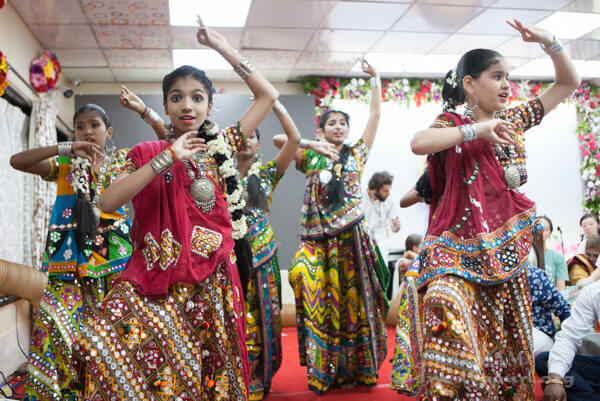 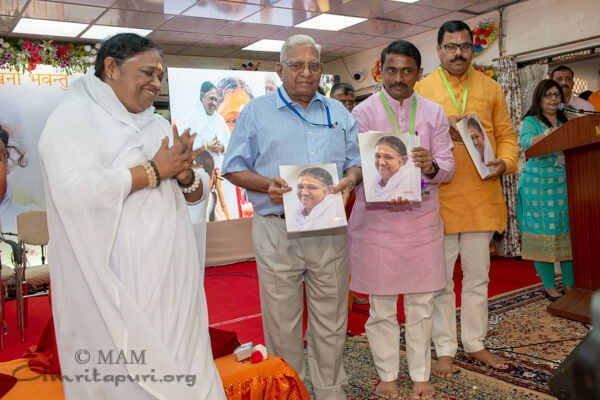 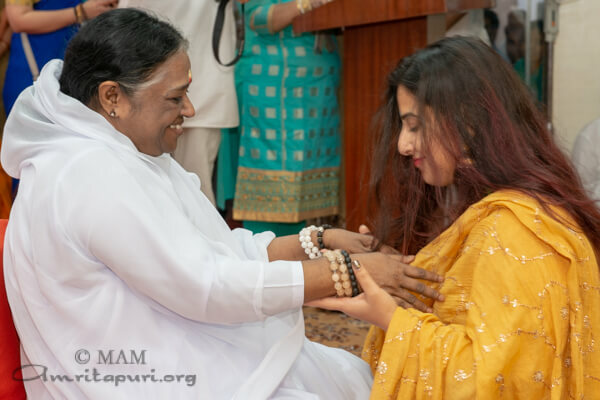 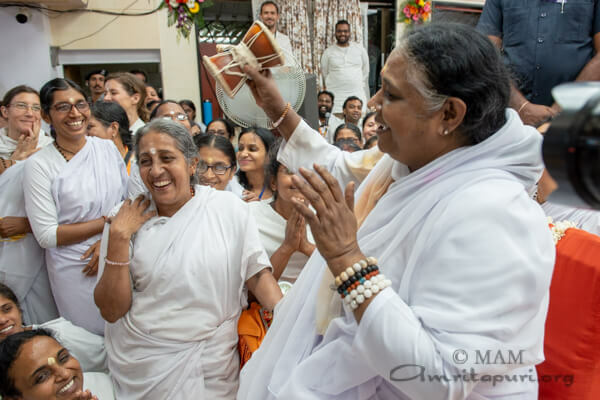 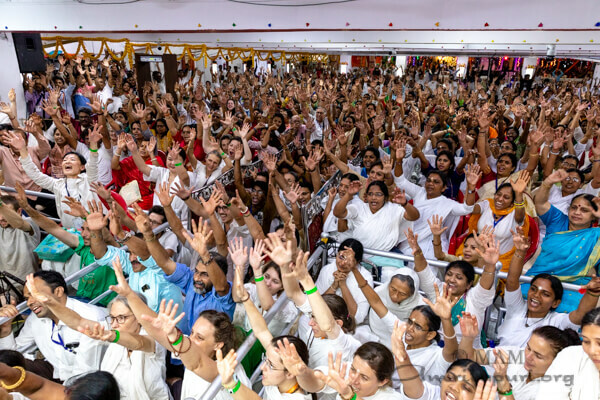 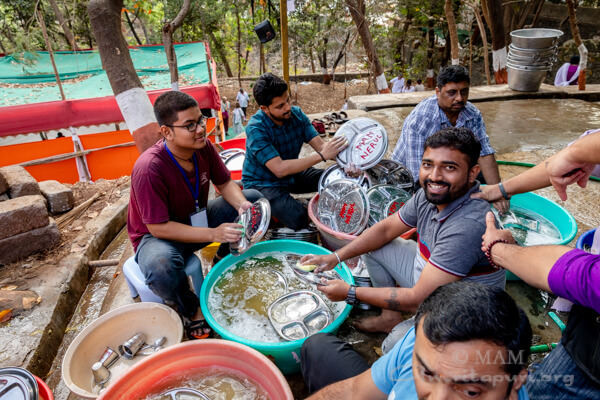 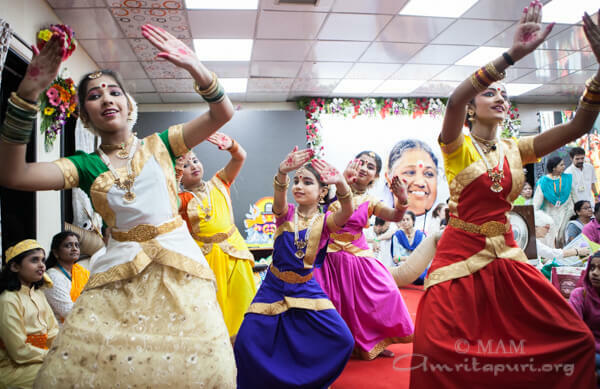 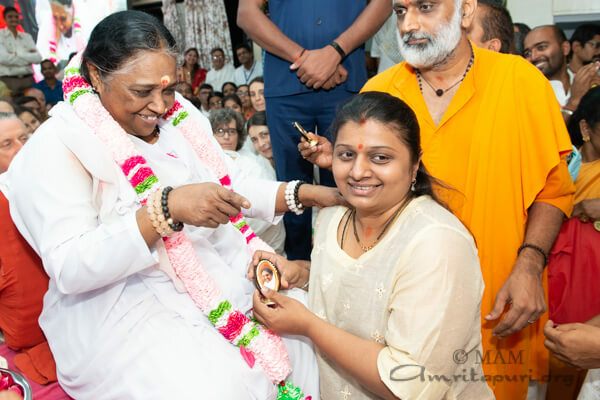 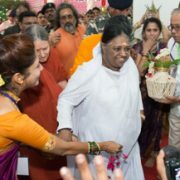 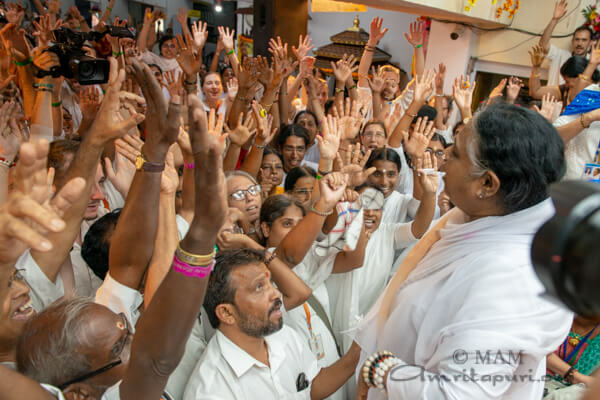 After the programs in Pune, Amma and the tour group traveled to Mumbai. 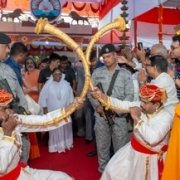 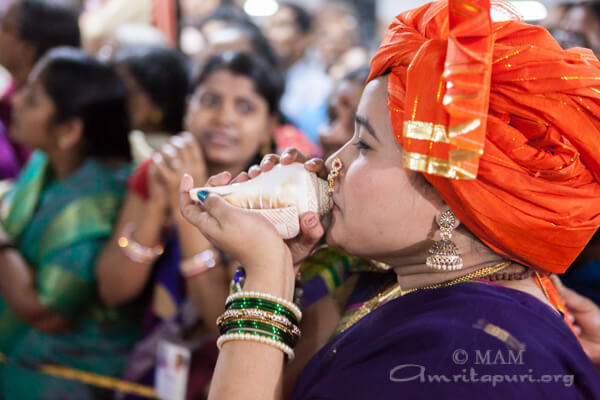 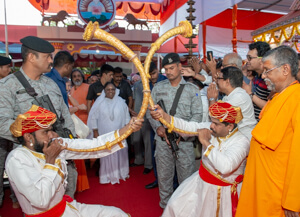 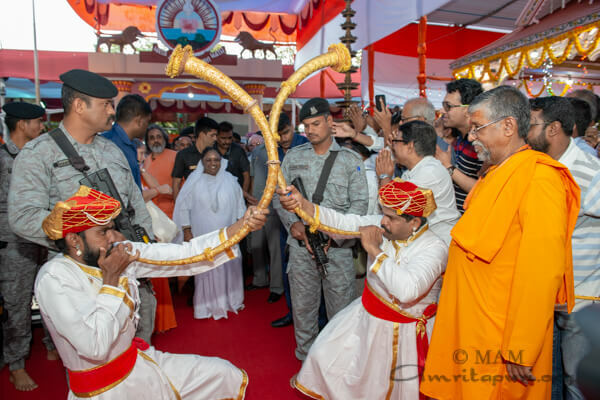 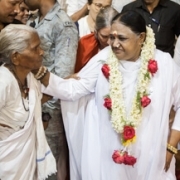 Amma was received with a traditional Maharashtra style greeting, with men in traditional dhotis and women in 9 meter saris and both wearing turbans. 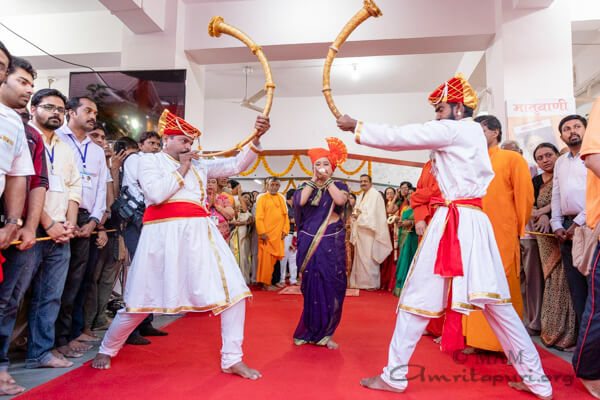 Musicians were blowing ‘Tutari’ – a Marathi trumpet shaped like a big bull horn in made of metal. 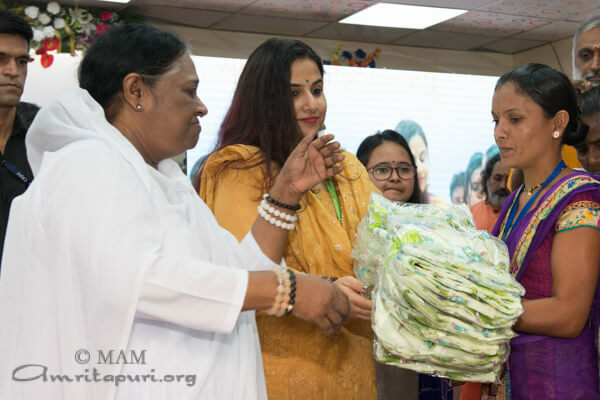 On the occasion, renowned Bollywood actress Vidya Balan joined Amma to distribute saris to women of Ransai village from Panvel District, which is one of the 101 villages adopted by Amma. 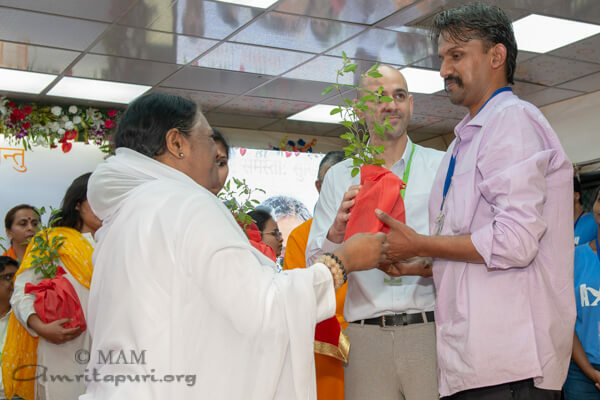 Health kits and plants were also distributed to AYUDH members by the dignitaries. 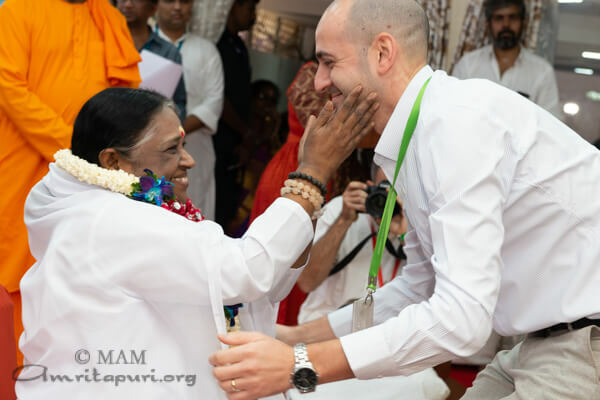 Also addressing the audience was Mr Nimrod Kalmar the Deputy Chief of Mission at the Israeli Consulate of Mumbai, who said, “As you can see I am smiling ever since I am here this morning. 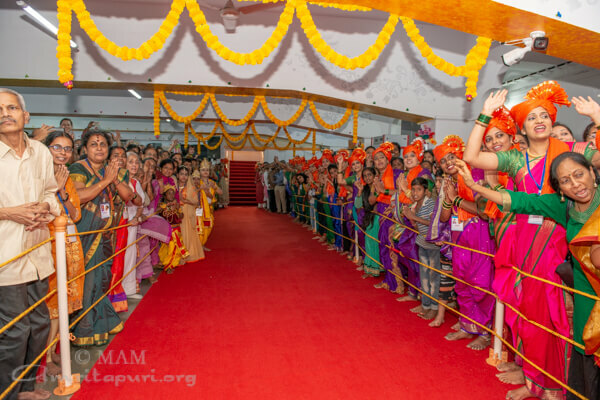 I have noticed that everybody around me is smiling. 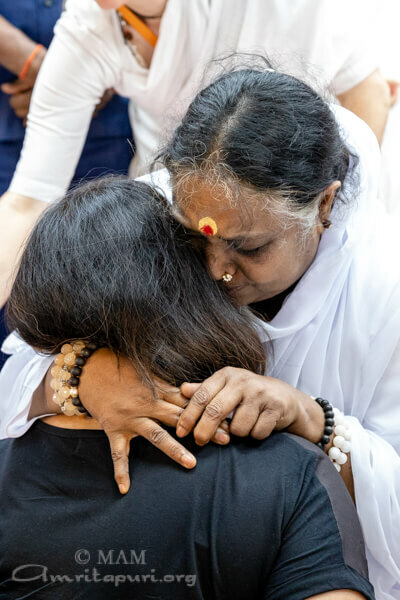 We all need to appreciate and come to this place of peace and tranquility and smile at one another and show that we want to live in peace with one another. 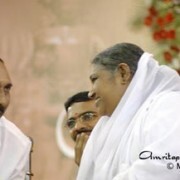 This is a very special kind of atmosphere attributed to Amma who spreads love and compassion. 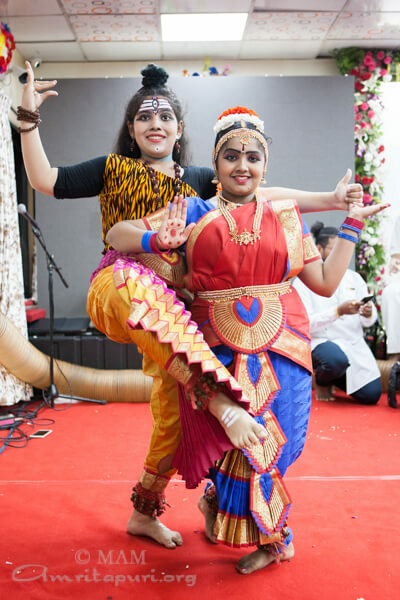 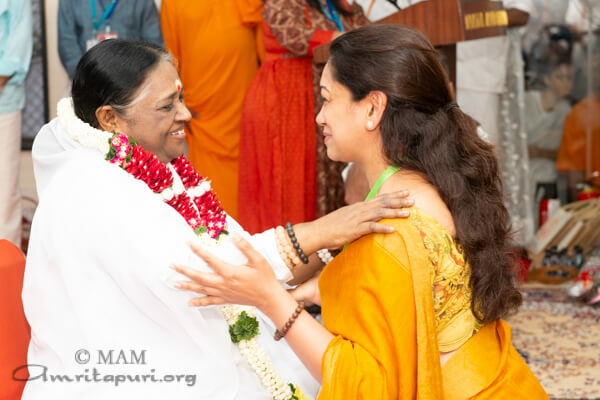 Amma was next welcomed by Anjali Menon, the renowned Bollywood script writer, “This is the moment that I wait for every year… when Amma visits Mumbai, for that touch…like a little child waiting to see its mother, I too wait for the hug, wait for the kiss, wait for that touch. 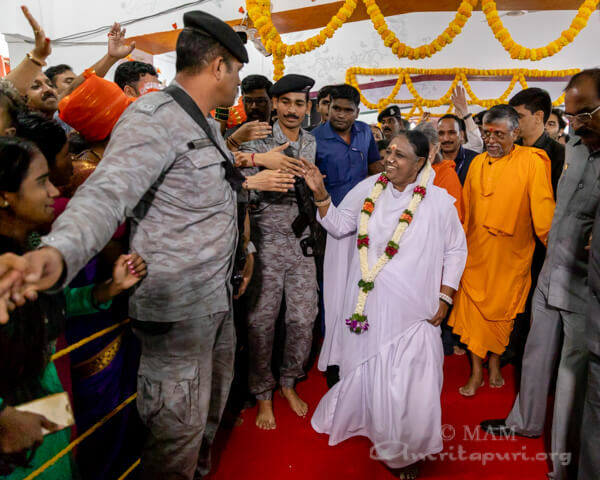 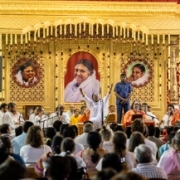 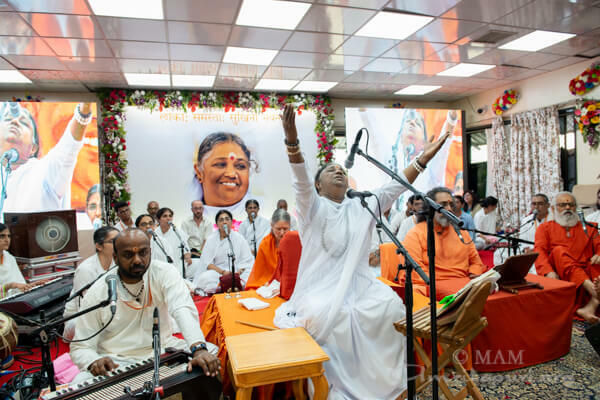 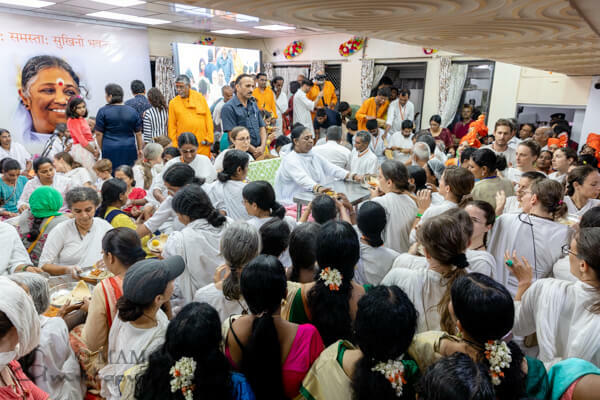 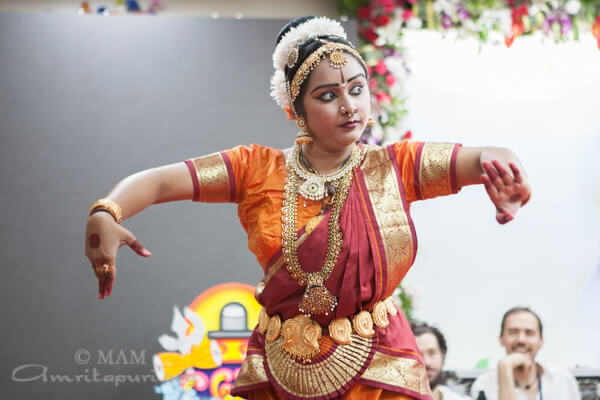 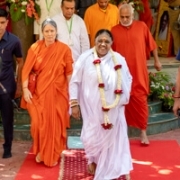 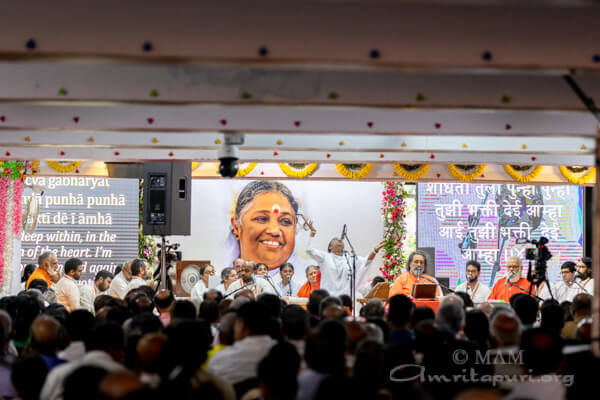 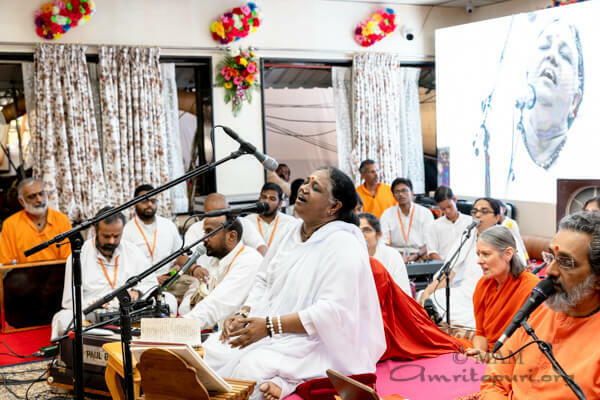 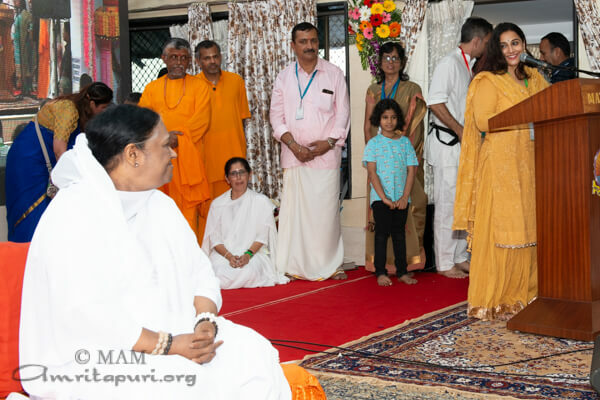 During both days of her programs there, Amma sang bhajans, conducted satsang, guided people in mediation and prayers for world-peace, along with her darshan. 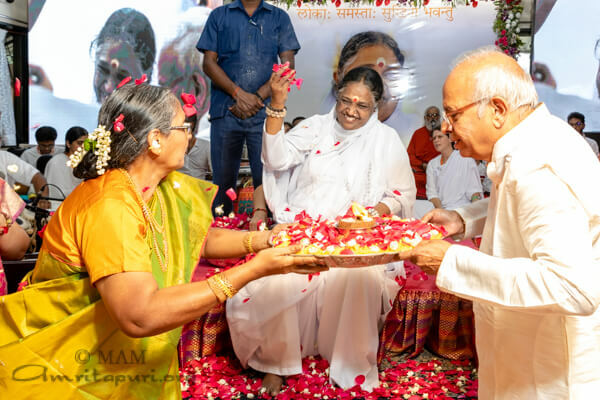 Amma guided both the meditation and manasa puja in Hindi.